I like that Metallic Madness to Titanic Monarch cutscene but I think it's missing something that could make it a lot better (which is shown in the link). After a rather successful Contest Week with many commenting that this year was a complete 180 from last year’s showing, it is now time for the results. Who picked up the trophies and honourable mentions? Let’s find out!Judged TrophiesHidden Palace Trophy Grand prize / 1st place. This is given to the overall best entry in the contest.Metal Sonic Rebooted by Lone DevilWood Zone Trophy2nd place entry overall in the contest.Sonic 1 Dragon Edition by DragonWolfLeoDust Hill Trophy3rd place entry overall in the contest.Sonic Egg Factory ReMastered by FoxConEDGenerations TrophyBest 3D Sonic game modification submitted overall.SADX Lantern Engine by SonicFreak94HONOURABLE MENTIONS: Heroes Mod Loader & Tweakbox β (Tech Demo) by sewer56lol and Sonic Redux (Character Demo) by InvisibleUpCrystal Egg TrophyBest 8-bit Sonic hack submitted overall.Sonic 2: Zen Island by YoshisterGreen Hill TrophyHack (or specific level of a hack if non-applicable) that plays most like a Sonic game.Metal Sonic Rebooted by Lone DevilHONOURABLE MENTION: A generic Sonic 1 ROMhack by CHRdutchBotanic Base TrophyBest art in a Mega Drive / Genesis hack submitted.Mr. Cat’s 16 Day Challenge by MrCatHONOURABLE MENTION: Sonic Egg Factory ReMastered by FoxConEDD.A. Garden TrophyBest music in an entry submitted.Sonic 1 Dragon Edition by DragonWolfLeoHONOURABLE MENTION: Sonic Egg Factory ReMastered by FoxConEDLava Reef TrophyBest level layout in a Mega Drive / Genesis hack submitted.Sonic 1 Dragon Edition by DragonWolfLeoHONOURABLE MENTIONS: Metal Sonic Rebooted by Lone Devil, A Generic Sonic 1 ROMhack by CHRdutchGimmick Mountain Trophy Best level layout in an 8-bit hack submitted.Sonic 2: Zen Island by YoshisterGenocide City TrophyMost difficult entry (or specific level of an entry if non-applicable) submitted.Classic Pantufa the Cat DX by VAdaPEGAHONOURABLE MENTION: Sonic Egg Factory ReMastered by FoxConED11000101 TrophyBest technical / proof of concept entry submitted.SADX Lantern Engine by SonicFreak94HONOURABLE MENTION: Sonic 2 for PC & New 3DS by ClownacyFang TrophyBest new enemy/badnik in an entry submitted.Sonic Chaos Quest Ultimate by NarcologerEggman TrophyBest new boss or mini-boss in an entry submitted.Sonic Egg Factory Remastered by FoxConEDHONOURABLE MENTION: Sonic Chaos Quest Ultimate by NarcologerSpin Dash TrophyBest new ability in an entry submitted.Sonic 1: Colors Edition (SHC2017 Demo) by campbellsonicHONOURABLE MENTION: Sonic & Ashuro by AshuroCarnival Night TrophyMost innovative game play feature in an entry submitted.Sonic 1: Colors Edition (SHC2017 Demo) by campbellsonicHONOURABLE MENTION: Sonic 3 Chaos Adventure by JDpenseEmerald TrophyBest Special Stage in an entry submitted.Sonic 1 Dragon Edition by DragonWolfLeoWing Fortress TrophyBest cutscene in an entry submitted.Sonic Egg Factory ReMastered by FoxConEDRobotnik's Revenge TrophyBest fresh concept using existing concepts as the backbone in an entry submitted.Sonic 1: Colors Edition (SHC2017 Demo) by campbellsonicHONOURABLE MENTION: Metal Sonic Rebooted by Lone DevilCasinopolis TrophyMost entertaining / fun entry submitted.Sonic 1 Dragon Edition by DragonWolfLeoHONOURABLE MENTIONS: Metal Sonic Rebooted by Lone Devil, Sonic & Ashuro by AshuroPolygon Jim TrophyMost unique entry submitted.Achi (AKA another trend in gaming that is slightly annoying and ultimately pointless) by NatsumiTails TrophyMost improved entry from last year's contest.Sonic & Ashuro by AshuroBlaze Trophy Entry from this year's contest that is felt to have the most potential.Sonic 1 Dragon Edition by DragonWolfLeoHONOURABLE MENTION: Sonic 2 for PC & New 3DS by ClownacyNewtrogic High TrophyVoted best entry of the contest by the Media Panel.Sonic 1 Dragon Edition by DragonWolfLeoThe following Judged Trophies were not awarded: Windy Valley Trophy: Best art in a 3D modification submitted. Jungle Trophy : Best art in an 8-bit hack submitted. Speed Highway Trophy: Best level layout in a 3D modification submitted. Azure Lake Trophy: Best multiplayer entry submitted. Advance Trophy : Best handheld game entry overall. Community TrophiesHidden Palace Community TrophyBest entry submitted overall.Metal Sonic Rebooted by Lone Devil Generations Community TrophyBest 3D Sonic game modification submitted overall.Sonic Redux (Character Demo) by InvisibleUpCrystal Egg Community TrophyBest 8-bit Sonic hack submitted overall.Sonic 2: Zen Island by YoshisterWindy Valley Community TrophyBest art entry submitted.Metal Sonic Rebooted by Lone DevilD.A. Garden Community Trophy: Best MusicBest music entry submitted.Sonic 1 Dragon Edition by DragonWolfLeoLava Reef Community TrophyBest level layout entry submitted.Sonic 1 Dragon Edition by DragonWolfLeo11000101 Community TrophyBest technical entry submitted.Sonic 2 for PC & New 3DS (PoC) by ClownacyPolygon Jim Community TrophyMost unique entry submitted.Achi (AKA another trend in gaming that is slightly annoying and ultimately pointless) by NatsumiTails Community TrophyMost improved entry from last year's contest.Sonic & Ashuro by Ashuro Blaze Community TrophyEntry from this year's contest that is felt to have the most potential.Sonic 1 Dragon Edition by DragonWolfLeo EvaluationLike last year, we want YOUR feedback on this year’s Contest Week so please take the time to fill out this form and let us know what you thought about this year and what we can look at for next year. So we can get planning for next year sorted out and next year’s Contest announced by the end of this year like always, please note the deadline for the evaluation is the end of Sunday 3rd December. It won’t take you that long to fill out this form, so if you are able to, please do so.Special Thanks The Judges – which along with myself were Cinossu, Clownacy, Dandaman955, Dario FF, OrdosAlpha, Selbi , SuperEgg, and SSF1991 (Donnie) and Twilightzoney. Despite the challenges this year we were able to get the judging fully completed and evaluated. We had a few newcomers this year who have fit comfortably into the role, and I personally think that we don’t need to bring in anyone new for next year as we have enough people to do the job. Cinossu for his brand new website that finally came to fruition this year. Although he had a significant downtime due to his laptop having issues alongside other delays, he has given us a new site that does the job really well and will last us for a very long time. Although some features were not implemented this year due to not having enough time to get them in such as the Comments Section and Teams, they will be back next year and you can suggest in the Feedback Form of what could be added to the site next year. SuperEgg for organising the majority of the media side of things, bringing you the list below of people in the next section. The Media Panel that consisted of AquelGamerMexicano, AntDude, coopercastille, FoxConED of Sonic SCANF, MegaGWolf, Neo Hazard, premydaremy, RadicalSoda, redhotsonic, SomecallmeJohnny, sonicyoda of SEGADriven.com, The Geek Critique and TheRealFTA of FTCR. Many have streamed during the week or produced videos, any which have not yet, will do so after this week. Bartman3010 from Sonic Retro, VEDJ_F from Sonic Stadium, Ryan from Tails Channel and Tristan from TSSZ News for providing coverage of the contest. SeanieB for providing server hosting and accommodating us well in terms of fixing slight issues and providing statistics. Aside from some brief problems on Monday that were quickly fixed after a few settings were changed, there were no long periods of downtime this year, which I’m sure everyone is pleased with. amphobius, LazloPsylus, Shannon and StephenUK for their previous involvement in this year’s Hacking Contest. Ayla, also for the above reason but for organising the Sonic Hacking Contest for the past 15 years. Unfortunately due to personal reasons she was not able to take part in judging, but was very instrumental in reforming this year’s Contest alongside others including proposing the Quality Control Criteria that changed the Contest for the better. Ayla planned to make this year her final year of judging which will now not happen, but I think everyone should thank her for what she has done over the years and hopefully she has a good retirement from the Contest. redhotsonic for his Hacking Contest Trailer. CpChan, gsoft, Lange, Lil-G, Natsumi, Perfect Chaos Zero, P3DR0, redhotsonic, thevaleev and Volg Shan for providing moderation services during the Contest Week on our Discord server to ensure people got in and not out of line. Also, Titanus on Discord for being awesome. Everyone who submitted to the Contest or Expo, no matter if they won trophies or not, but especially Jon Burton from Travellers Tales who submitted his Sonic 3D Directors Cut Beta to the Expo. To have an original developer submit something was never something we ever expected to happen, until this year. Although he was not able to get involved more this week as he was on vacation, we are planning on doing something with him very soon which a lot of you have wanted to get involved with, more will be announced when we can. And You…for taking part in the Contest Week. The End…For NowWe will be back for the Sonic Hacking Contest 2018. Information for that will be posted hopefully by the end of this year. We have done really well this year, so let’s keep it up the good work for next year! Sorry for the lack of replies, the stream schedule was the same for Wednesday and Thursday. Please take a look at the entries and you can provide feedback of the entries in this very thread! Just like last year, we want YOUR feedback on this year’s Contest Week as well as providing suggestions on what we can look at for next year. This year, we have had a rather positive Contest Week that has been a complete 180 from last year, not to mention how we have had little issues with the website, but of course we want your opinions. Please complete the following form; we will have the form open for a few weeks so if you don’t have time to do it right now, please do it when you can. If you have completed this form before the Contest Week has ended, don't forget the Results Show will take place on Sunday 26th November on MegaGWolf's Channel at 8pm GMT / 3pm EST / 12pm PST! AntDude will be streaming on Saturday at 7pm GMT / 2pm EST / 11am PST too so don’t miss that either. Also don't forget to cast your Community Trophy votes before the end of Saturday 25th November at Midnight EST. All you need to do is sign up for an account at http://sonichacking.org/ and go to the entries you want to vote for to cast your votes. No verification is required so you should not have an issue casting your votes. Thanks for being a part of the Contest Week this year, it is very much appreciated! The Contest Week has started, you can now download all the entries from the Hacking Contest and Hack Expo, and be able to vote on the Community Trophies too. At the time of publishing, the comments section isn't up yet but it will be soon. All you need to vote is sign up for an account - you do not need to be verified to do this. Here are the streams happening on Monday: 7pm GMT / 2pm EST / 11am PST: redhotsonic 9pm GMT / 4pm EST / 1pm PST: MegaGWolf 12am GMT / 7pm EST / 4pm PST: SomecallmeJohnny 5:30am GMT / 12:30am EST / 9:30pm PST (wrongly said as 7:30pm PST in the above image, whoops): The Geek Critique If you run into any issues, join the Discord server and report them in the #site_issues channel. You can join Discord by clicking on the Discord logo at the bottom of the website. We've only had the site up a few days and already we've recieved a good number of submissions to both the Contest and Expo, so keep that up! Just remember that we now have uploading fully working, so if you have a ROM then do upload it to the site, the off-site linking is generally preferred for large files such as Generations mods for example. Also regarding deadlines, the submissions deadline of the end of Sunday 29th October (where we must have a playable submission by this date) and updates deadline of the end of Sunday 5th November (where you get a week to finish things off and fix any bugs found) apply to Contest submissions ONLY. If you are submitting to the Hack Expo, you only get one deadline, which is the end of Sunday 12th November, as we do not judge those entries. If you can't make the submissions deadline for the Contest, your entry will be moved to the Expo, meaning you get extra time to get your entry done, and you get exposure for your entry, with the expense being your entry won't be judged. You've had since last December to make an entry though, so I would hope most people won't have to miss out on getting judged! Please also note, as it's happened a few times, you cannot have the same entry submitted to both the Contest and Expo. It's one or the other. If you want your entry to be judged and be in the running for trophies, it's the Contest. If you don't want to be judged, go for the Expo. Stay tuned for further updates regarding the contest and this website which is ever changing, new features are being added regularly. If you have any questions, use the forum threads or Discord which are all linked at the bottom of this page. If you aren't a full member of SSRG or Sonic Retro but want to submit, instructions for getting validated are in a previous news post. We've already had a few people ask to get verified, so don't hesitate to ask! As you may know, our intended Hacking Contest Week was set for Monday 6th to Sunday 12th November. It has now been announced that Sonic Forces will be released during this period. As to not inconvenience some of our Media Panel who would be now no doubt be occupied with Forces stuff, we are delaying this year’s Hacking Contest to a later period of time. Although the Forces release is a reason as to the delay, we were going to have to do this anyway as development on the new website in the works that handles submissions and a bunch of other stuff including new features had stalled due to serious laptop problems which are taking longer than usual to fix. We don’t want to go back to using the old website due to issues that worsen every year, so we are giving our website developer extra time to recoup from lost time due to these laptop issues. With that being said, here are the new dates to remember for this year’s Sonic Hacking Contest: (updated on first post) Please remember the Quality Control Criteria explained in the first post of this thread – judges WILL be looking at your entries to ensure they meet the criteria of the Hacking Contest and Hack Expo. Judges reserve the right to move your entry to the Hack Expo or decline your entry should they feel that it is not up to the Hacking Contest standards of this year. You have all been given extra time this year, do NOT disappoint us! Psst. Hey. Guess what.We're finally live.------------------------------------------------------------------------------------------------------------------------------------------------------ NOTE: This was posted on Sonic Retro and SSRG a few months ago. You are advised to also look at those threads. We had a 2016 thread on SSMB too so here's the new one. Logo by Cinossu - click the image to access our new website which is responsive to all devices. We know that the 2016 Contest was rather disappointing in a lot of ways, and to be honest it was a wake-up call to everyone to address things for the following contest to make it as good as it both can and should be. We've made some serious changes as a result, which include the addition of quality control criteria that hacks have to meet in order to be accepted. We've also removed a few trophies, added some new ones that people will hopefully like, and we will also be running a separate Hacking Expo during the Contest Week that will allow for hacks to be showcased without them being judged. Let's get right into things...JUDGESThis year's judges will consist of myself, Ayla, Cinossu, Clownacy, SuperEgg, and SSF1991 (Donnie) along with new judges Dandaman955, Dario FF, OrdosAlpha, StephenUK and Twilightzoney. This judge list is not final and additional judges may be recruited to replace former judges who have left the contest due to retiring or other reasons. Do not ask to be a judge as that just rules you out. If we think you're up to the job, we'll talk to you.This team will be reliable and will be able to deal with contest judging as soon as possible in order for us to progress through the contest and get the results out as soon as possible. Judges will be able to submit their own hacks but will not be able to judge it themselves, nor will they be able to judge submissions that they have been involved with (such as team hacks). Judges will provide more detailed evaluations of the entries at the end of the contest to give opinion, thoughts, and advice they feel is deserved.Please note that the final decisions are subject to the Judging Team and may not reflect your own opinion. If one hack wins a whole load of trophies that is what the judges thought should win. Judges may change at any time due to unavailability or other reasons.TROPHIESFirst are the normal trophies. Please note that any level specific trophies are now hack specific, meaning they no longer go by individual levels in a hack. Judges will allocate a winner to each trophy and if a particular entry that missed out has enough support as a runner-up an Honourable Mention will be added as well. The same as last year, judges again reserve the right not to award a trophy at all via a Null Vote.Hidden Palace TrophyGrand prize / 1st place. This is given to the overall best entry in the contest.Wood Zone Trophy2nd place entry overall in the contest.Dust Hill Trophy3rd place entry overall in the contest.Generations TrophyBest 3D Sonic game modification submitted overall.Crystal Egg Trophy (NEW)Best 8-bit Sonic hack submitted overall.Green Hill TrophyHack (or specific level of a hack if non-applicable) that plays most like a Sonic game.Botanic Base Trophy (Newly split)Best art in a Mega Drive / Genesis hack submitted.Windy Valley Trophy (Newly split)Best art in a 3D modification submitted.Jungle Trophy (Newly split)Best art in an 8-bit hack submitted.D.A. Garden TrophyBest music in an entry submitted.Lava Reef Trophy (Newly split)Best level layout in a Mega Drive / Genesis hack submitted.Speed Highway Trophy (Newly split)Best level layout in a 3D modification submitted.Gimmick Mountain Trophy (Newly split)Best level layout in an 8-bit hack submitted.Genocide City TrophyMost difficult entry (or specific level of an entry if non-applicable) submitted.Azure Lake TrophyBest multiplayer entry submitted.Advance Trophy (NEW)Best handheld game entry overall.11000101 TrophyBest technical / proof of concept entry submitted.Fang TrophyBest new enemy/badnik in an entry submitted.Eggman TrophyBest new boss or mini-boss in an entry submitted.Spin Dash TrophyBest new ability in an entry submitted.Carnival Night TrophyMost innovative game play feature in an entry submitted.Emerald TrophyBest Special Stage in an entry submitted.Wing Fortress TrophyBest cutscene in an entry submitted.Robotnik's Revenge TrophyBest fresh concept using existing concepts as the backbone in an entry submitted.Casinopolis TrophyMost entertaining / fun entry submitted.Polygon Jim TrophyMost unique entry submitted.Tails TrophyMost improved entry from last year's contest.Blaze Trophy (NEW)Entry from this year's contest that is felt to have the most potential.Newtrogic High TrophyVoted best entry of the contest by the Media Panel.COMMUNITY TROPHIESThese trophies are trophies that are awarded by the community during the Contest Week.Hidden Palace Community TrophyBest entry submitted overall.Generations Community Trophy (NEW TO COMMUNITY JUDGING)Best 3D Sonic game modification submitted overall.Crystal Egg Community Trophy (NEW)Best 8-bit Sonic hack submitted overall.Windy Valley Community TrophyBest art entry submitted.D.A. Garden Community TrophyBest music entry submitted.Lava Reef Community TrophyBest level layout entry submitted.11000101 Community TrophyBest technical entry submitted.Polygon Jim Community TrophyMost unique entry submitted.Tails Community Trophy (NEW TO COMMUNITY JUDGING)Most improved entry from last year's contest.Blaze Community Trophy (NEW)Entry from this year's contest that is felt to have the most potential.RULES Your entry must be based on an existing Sonic the Hedgehog ROM or game. No homebrew submissions will be accepted in the Sonic Hacking Contest. Please take a look at the Quality Control criteria below these rules for what is and what is not allowed in an entry to both the Contest and the Expo below these rules. We're being serious over this stuff this year. If you can't meet the criteria then you need more time before you can take part in the Contest. Take some time to look at what you are missing or need to work on and come back in 2018 with an even better entry than your current one. While the Expo will also be subject to the Quality Control criteria, it won't be as stringent as that for the Contest. No Joke or Meme entries are allowed in the Contest this year. The evaluations from the public have clearly shown that they did not like the abundance of them in last year's contest, so we will not be allowing them this year. However, they will be allowed in the Expo provided that they meet the Quality Control criteria. No Private entries. If you want to submit to the Contest your entry must be made available completely to the Public. There is no Partial-Private this year for the Contest at all, but that feature will be available in the Hack Expo. Submissions must either inform of what has been changed or explicitly what has not - zone and act breakdowns to a full change log, if need be - to avoid people playing stock vanilla levels and gameplay that has been left completely untouched. Submissions can also inform of other information such as cheat codes, easter eggs, and other worthwhile information that would benefit your entry when being looked at and judged. You must include media such as screenshots (absolutely mandatory, and must include a title screen image), videos (YouTube links are fine), and music (MP3, OGG, and VGM preferred). The judges will not waste time making screenshots or other media for you. E-mailed or direct-messaged entries will not be accepted. All submissions must be completed through the online site. All entries must be playable and cannot prevent judges from playing them if they have been uploaded. Judges have the right to look at your incomplete work if you have submitted it. However, judges will not allocate trophies based on any incomplete builds, only the last build submitted for the completed entry. Hacks found with stolen content will not be tolerated and anyone caught will be dealt with severely, the least of which will be their entry being made null and void. If anyone suspects an entry to have stolen content either flag the entry or contact a judge immediately. If you have used things such as music packs from the Internet in your entry please be wary of this and be sure to double-check on their origins, as they are known to contain content illegitimately ripped from other hacks. All entries are viewed equal regardless of who submits them. Do not be put off with people well known in the community potentially submitting that could win trophies - people do not win trophies because of who they are in this community, people win because their entry deserved to win. Please be aware that not all judges can judge certain games - Sonic Generations, Lost World, and other console based entries, for example - as they do not have the capability to do so. If you submit an entry which is not a standard 8-bit or 16-bit entry please have this in mind. Judges have the right to remove your entry from the Contest at any time if it does not meet the criteria or if your hack is disqualified for whatever reason. While these entries apply to both the Contest and the Expo, they will be more stringently enforced for the Contest than the Expo. These rules can be changed, added to, or removed from at any time. Check back often (or at least once before you submit something) to make sure they haven't since you last looked. QUALITY CONTROL CRITERIA FOR SUBMISSIONSPick at least one item from, at minimum, three of the four bullet points: Palette changes, physics changes, SEGA sound changes, and other various small things. Art changes, layout changes, special stage layout changes, and mapping changes. Engine changes, sound driver changes, and special stage functionality changes. Music and sound effect changes. Or at least one of the following: A complete change to the rules of a Sonic game. For example: Sonic Bash v2, boss rush hacks, Knuckles Emerald Hunt, etc. A (near-)complete overhaul into a whole new game. 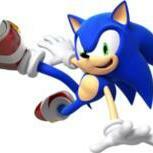 For example, Sonic Scorched Quest, Sonic Virtual Adventure, etc. A technical feat. For example, MarkeyJester's Mode 7 Mega Drive experiments, Sonic 4 in 1, etc. A 3D modification that changes features in the playable game itself. Just menu or simple texture modifications alone are not acceptable. Your entry will be disqualified if it contains: NSFW content that is accessed through normal means or just playing the game. Easter eggs are okay, however, as they aren't immediately accessible without prior knowledge to their existence. Adding the method of access through your entry description, however, will be considered as accessed through normal means. Please share the method of access through other mediums such as forums or discord. Obscure jokes and/or memes that most people will not understand. If the entry focuses on in-jokes with no appeal to anyone other than those in the know, the Contest or Expo is not a valid place for it to be shown. A joke entry whose soul purpose is to game the rules and exploit any loopholes, if any are found. If you are unsure whether or not your hack would pass the criteria, contact a judge for clarification. STANCE ON SONIC MANIA MODSAfter the release of Sonic Mania for PC, it did not take long for people to break into the game and modify various pieces of it. Right now, Mania modding is in its very early stages with mostly sound, sprite and models being manipulated. Unless things seriously progress to a point where level editing (for example) is able to be done, all Mania mods may be entered for the Hack Expo ONLY.Please bear in mind that we have a Quality Control Criteria that must be met therefore anything of a low quality will very likely be rejected by judges and rejected from exposure at the Contest Week entirely. Simply put, we do not want a free-for-all on Mania mods that could ruin what we put in place regarding quality control. If you’re unsure if your mod will be accepted, you are very welcome to submit it – the judges will decide whether or not it will be allowed into the Hack Expo.If modding progresses to an advanced state (such as level editing and technical additions), we may permit those mods to be judged, however we expect this will probably not happen this year, but rather in time for next year’s contest. We are open to discussion on this issue. DEADLINESThe primary submissions deadline for entries will be the end of Sunday 29th October. You must have submitted a playable build by then to the contest site on your entry in order for it to be accepted past this point.You then have a week to refine your entry, fix any issues, and upload your final build. This final deadline will be the end of Sunday 5th November.If you are submitting to the Expo rather than the Contest you have until the end of Sunday 12th November to refine your entry and upload your final build.Any questions can be asked in this thread wherein a judge will be able to provide some sort of answer.Monday 20th November to Sunday 26th November is the Contest Week. Like the last few years, the public will have a chance to view this year's entries, download the public hacks and vote for Community Trophies. If you're planning to debut your submission to the public you can do it then, however nobody can be stopped from releasing earlier. If you want to show it off to the biggest audience around the Contest Week is your best time for it. A brand new site is being developed which will have new features and also be more reliable than the previous one.We hope to have live streams, mini contests and much more similar to previous Contests - these will be announced closer to the time of the Contest when they have been finalised. We'll also have news coverage this time much like last year. In our evaluation form for 2016 we asked people to provide links to websites and streamers to invite to participate in the 2017 Contest and we will be doing that to ensure that we can get as many people on board as possible.We'll let you know when the website is updated for the 2017 Contest so you can begin submitting as some changes to the site will be carried out to improve it. Once again, in order to submit you'll need a Sonic Retro or SSRG full member account, although exceptions may be given by contacting a judge. Feel free to like our Twitter and Facebook pages and subscribe to our Twitch Channel. The contest rules and features can change at any time - further announcements will be posted in due time.So with that, I'll leave you to your hacking.Ready, Set, Procrastinate!! Sonic Hacking Contest 2016 RESULTS are posted in the thread in the Green Hill Zone. THE RESULTS! Now, before we get onto the results, we know that many of us this year can agree on one thing – this contest was not as good as previous years. It is not something that the judges are pleased about, not to mention other issues that have cropped up including the site going down repeatedly. Not every hack was bad this year, and the ones that have won trophies this year can easily show that, as well as a few that missed out this year. But overall, many have felt that this year, most people did not bring their A game to the contest, most people half assed a bunch of entries and eventually pissed off pretty much everyone who went near those entries. This is not the fault of the judges, but the people who are submitting this content to us. We accept that changes must be made for next year and trust me, we've already talked about what to do for 2017, and we will continue to do so for as long as needed until we are satisfied to announce a much improved Hacking Contest for 2017 – the 15th Anniversary. Many entries that were in this year, or even stuff along the lines of entries like some submitted, won't even be allowed for next year. But for now, here are the results of the Sonic Hacking Contest 2016:Hidden Palace Trophy 1st Place Sonic: Scorched Quest (SHC'16 pre-final) by Team PaintoWood Zone trophy 2nd Place Sonic: Virtual Adventure (SHC 2016 Demo) by Ladego TeamHONOURABLE MENTION: Sonic 2 ReMastered by TheCat (very split decision with this trophy) Dust Hill Trophy 3rd Place Untitled Sonic 1 Hack by jubbalubGreen Hill Trophy Entry (or specific level of an entry if non-applicable) that plays most like a Sonic game. Untitled Sonic 1 Hack by jubbalubWindy Valley Trophy Best art in an entry submitted. Pantufa the Cat - Extended Edition by VAdaPEGAHONOURABLE MENTION: Sonic Halloween by CamManS5D.A. Garden Trophy Best music in an entry submitted. NULL VOTE – NO TROPHY AWARDEDHONORABLE MENTIONS: Sonic: Virtual Adventure (SHC 2016 Demo) by Ladego Team, Knuckles Emerald Hunt by MainMemory Lava Reef Trophy Best level layout in an entry submitted. Pepsi in Sonic 1 by Unlimited TreesGenocide City Trophy Most difficult entry (or specific level of an entry if non-applicable) submitted. Tails Adventures for Über Players by BakayoteWing Fortress Trophy Best cutscene in an entry submitted. Sonic: Virtual Adventure (SHC 2016 Demo) by Ladego TeamAzure Lake Trophy Best multiplayer entry submitted. 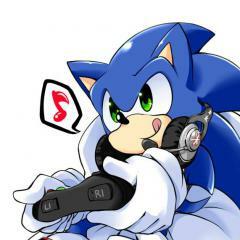 Sonic Bash! v2 by redhotsonicHONOURABLE MENTION: Sonic 3 & Knuckles: Chaotix Edition by Jdpense Generations Trophy Best 3D Sonic game modification submitted. Eggmanland for Sonic Generations by NeKitHONOURABLE MENTIONS: Beta Windy Valley (Sonic Lost World) by SonicOtakuSNG; SADX Character Select Mod by MainMemory & SonicFreak94 11000101 Trophy Best technical / proof of concept entry submitted. Sonic Pocket Winter by ValleyBellHONOURABLE MENTIONS: Sonic 4 in 1 by Natsumi; Sonic: Virtual Adventure (SHC 2016 Demo) by Ladego Team; Eggmanland for Sonic Generations by NeKit Fang Trophy Best new enemy / badnik in an entry submitted. NULL VOTE – NO TROPHY AWARDEDHONOURABLE MENTIONS: Pepsi in Sonic 1 by Unlimited Trees; Sonic: Scorched Quest (SHC'16 pre-final) by Team Painto Eggman Trophy Best new boss or miniboss in an entry submitted. Sonic: Scorched Quest (SHC'16 pre-final) by Team PaintoHONOURABLE MENTION: Doctor Robotnik's Plan B (REV01) by Painto Spindash Trophy Best new ability in an entry submitted. Sonic Pocket Winter by ValleyBellHONOURABLE MENTIONS: Pikachu the Mouse by Team Overload; Sonic & Ashuro by Ashuro Carnival Night Trophy Most innovative game play feature in an entry submitted. NULL VOTE – NO TROPHY AWARDEDCasinopolis Trophy Most entertaining / fun hack submitted. The Radikal Ralakimus Hack Pack (WOW!) - Volume 1 by Ralakimus & BakayoteHONOURABLE MENTION: Sonic Halloween by CamManS5Emerald Trophy Best Special Stage in an entry submitted. Sonic: Scorched Quest (SHC'16 pre-final) by Team Painto Robotnik's Revenge Trophy Best fresh concept using existing concepts as the backbone in an entry submitted. Sonic 1: Reverse Curse by CampbellsonicPolygon Jim Trophy Most unique entry submitted. The Radikal Ralakimus Hack Pack (WOW!) - Volume 1 by Ralakimus & BakayoteHONOURABLE MENTION: Lose Tails or Else by GT Koopa Tails Trophy Most improved entry from last year's contest.Untitled Sonic 1 Hack by jubbalub Newtrogic High TrophyVoted best entry of the contest by the Media team. Sonic: Scorched Quest (SHC'16 pre-final) by Team PaintoBig the Cat Trophy Worst entry overall in the contest.Roya Rockwood's Sonic Mega Collection by RoyameadowHONOURABLE MENTIONS: Unlimited Trees by Unlimited Trees; Blue Potato the McDonalds by Blue Potato; Blue Knuckles in Sonic 3 by Blind_Jack; White Sonic in SK (Sonic 3 Part 2) by joshwoakes; Sonic XE by Team XE; Team Overload (all those underwhelming entries were overkill) Hidden Palace Community Trophy Voted best entry submitted overall.Sonic: Scorched Quest (SHC'16 pre-final) by Team Painto Windy Valley Community Trophy Voted best art entry submitted.Pantufa the Cat - Extended Edition by VAdaPEGA D.A. Garden Community Trophy Voted best music entry submitted.Sonic: Virtual Adventure (SHC 2016 Demo) by Ladego Team Lava Reef Community Trophy Voted best level layout entry submitted.Sonic: Scorched Quest (SHC'16 pre-final) by Team Painto 11000101 Community TrophyVoted best technical entry submitted. Sonic Pocket Winter by ValleyBellBig the Cat Community Trophy Voted worst entry submitted overall.Roya Rockwood's Sonic Mega Collection by Royameadow We would also like to give some recognition to the following hacks:Sonic 2 ReMastered by TheCat – If we had the 8-bit Trophy this year (it will likely be back next year), this would have won it.Sonic & Ashuro by Ashuro – You have so much potential, come back next year because this hack could win good by then. If we had a trophy to award to the hack with the most potential, it's this hack.Scrap Brain Zone Act 1 Mini Contest Competition to work on a SBZ1 level layout from scratch.JOINT WINNERS: Natsumi and MegaGWolf We would like to thank everyone who took part by submitting, the judges, those that streamed during the week, the rest of the media panel and anyone else I've forgotten about. This honestly was a very difficult contest to judge this year, especially with the quality of entries this year, to a point where quite a lot of the judges ended up being completely stressed out by the end of this. Let's emphasise this for next year – QUALITY, NOT QUANTITY! We want to have a great contest enjoyable by everyone, not one that just depresses people in the end. With the quality control we intend to implement, I don't see over 50 hacks being submitted next year, but if what we get is a reduced amount of submissions that are very pleasing, then that would be great. Don't go all over the place with future entries, some advice to give would be to focus on one zone first, do everything you possibly can with it, and move onto the next zone if you have the time to do so. Remember, hacks like Sonic Boom and Sonic – The Next Level only contained just one zone in their submissions, and they won big. All hacks will receive evaluation pages from judges very shortly – due to the issues faced this week we are running a little behind and we hope to have them available to the public by the end of next week. But that's not the only thing getting evaluation, we want YOU to evaluate the contest and the Contest Week, to let us know what should be done for the 2017 Contest. Please submit this form by the end of Sunday 20th November. That's all for now. After this long week, it's time to celebrate. I do apologise for the triple post, it seems there is not much interest in the contest here which is really disappointing especially when the SSMB once had a ROM Hacking forum back in the day. I'm also sorry for neglecting this thread too but like I said, expected people to post in here and it hasn't happened. Here is our stream lineup for Saturday and Sunday.Saturday: 7pm GMT / 2pm EST / 11am PST - redhotsonic 9pm GMT / 4pm EST / 1pm PST - MegaGWolf (please note - first hour overlaps redhotsonic's last hour) 10pm GMT / 5pm EST / 2pm PST - Bartman3010 (please note - overlaps MegaGWolf's 2nd and 3rd hours) 12am GMT / 7pm EST / 4pm PST - Saturday Shovelware Stream Sunday: 8pm GMT / 3pm EST / 12pm PST - Live Results Show with MegaGWolfRemember, Saturday is the last day to get your community trophy voting in. After that, it's all over, and we will announce the results live on Sunday alongside the Judged Trophies. If anyone has any comments regarding the contest overall this year feel free to let us know, we will have the results posted on here on Sunday - here's hoping I won't have to quadruple post! Sonic the Hedgehog Hacking Contest 2016 For the last few years the Hacking Contest has been getting better and better with features such as live streaming from well known names and community voting. We want as many people as possible to get involved so a thread on Sonic Stadium would help a lot. I have been advised by Azoo that just like with SAGE 2016, an admin will be creating a sub-forum to discuss Hacking Contest entries very soon, so let's get things going first with this thread. Please excuse me for any formatting issues, IPB is a pain to use nowadays... JUDGES This year's judges will consist of myself, Ayla, Cinossu, LazloPsylus, Shannon, SuperEgg and SSF1991 (Donnie) along with new judges amphobius (DalekSam) and Clownacy. This judge list is not final and additional judges may be recruited to replace former judges who have left the contest due to retiring or other reasons – do not ask to be a judge as that just rules you out. If we think you're up to the job, we'll talk to you. This team will be reliable and will be able to deal with contest judging as soon as possible in order for us to progress through the contest and get the results out as soon as possible. Judges will be able to submit their own hacks, but will not be able to judge it themselves, nor will they be able to judge submissions that they have been involved with (such as team hacks). Please note that the final decisions are subjected to the Judging Team, and may not reflect your own opinion, so if one hack wins a whole load of trophies like last year, well that’s what the judges thought should have won. Judges may change at any time due to unavailability or other reasons. TROPHIES First are the normal trophies. Please note that any level specific trophies are now hack specific meaning they no longer go by individual levels in a hack. Judges will allocate a winner to each trophy and if a particular entry that missed out has enough support as a runner-up an Honourable Mention will be added as well. Hidden Palace Trophy Grand prize / 1st place. This is given to the overall best hack in the contest. Wood Zone Trophy 2nd place. Dust Hill Trophy 3rd place. Green Hill Trophy Hack (or specific level of a hack if non-applicable) that plays most like a Sonic game. Windy Valley Trophy Best art in a hack submitted. D.A. Garden Trophy Best music in a hack submitted. Lava Reef Trophy Best level layout in a hack submitted. Genocide City Trophy Most difficult hack (or specific level of a hack if non-applicable) submitted. Azure Lake Trophy Best multi-player hack submitted. Generations Trophy Best 3D Sonic game mod. 11000101 Trophy Best technical / proof of concept hack submitted. Fang Trophy Best new enemy/badnik in a hack submitted. Eggman Trophy Best new boss or miniboss in a hack submitted. Spin Dash Trophy Best new ability in a hack submitted. Carnival Night Trophy Most innovative game play feature in a hack submitted. Emerald Trophy Best Special Stage in a hack submitted. Wing Fortress Trophy Best cutscene in a hack submitted. Robotnik's Revenge Trophy Best fresh concept using existing concepts as the backbone in a hack submitted. Casinopolis Trophy Most entertaining / fun hack submitted. Polygon Jim Trophy Most unique hack submitted. Tails Trophy Most improved hack from last year's contest. COMMUNITY TROPHIES These trophies are trophies that are awarded by the community during the Contest Week. 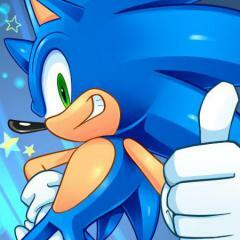 In order to vote you must have an account at either Sonic Retro or Sonic Stuff Research Group (SSRG). If you have accounts at both places, please only use one to do voting - we can check for fraud after all. Hidden Palace Community Trophy Best hack submitted overall. Big Community Trophy Worst hack submitted overall. Windy Valley Community Trophy Best art hack submitted. D.A. Garden Community Trophy Best music hack submitted. Lava Reef Community Trophy Best level layout hack submitted. 11000101 Community Trophy Best technical hack submitted. Polygon Jim Community Trophy Most unique hack submitted. ...And there you have it!! The only other incredibly important thing to mention at this point in time would be the rules of this hacking contest. These are generally the same as last year's with a few changes: RULES 1. Your entry must be based on an existing Sonic the Hedgehog ROM or game. No homebrew submissions will be accepted. 2. No palette hacks - we have moved on from these sorts of hacks and can do far better than that nowadays, plus there is no trophy for palette hacks. 3. Level layout only hacks can be submitted - if you can't do much with your hack and think it can't be submitted, think again. Ask a judge if you're unsure though. 4. Joke hacks along the lines of Sonic 1337 will not be accepted. Feel free to make something humourous though! 5. No Private Hacks. Entries are either Public (Hack can be downloaded) or Partial (media such as screenshots, videos and music only available to the public). 6. You must include media such as screenshots (absolutely mandatory, must include a title screen image), videos (YouTube links are fine) and music (MP3 and VGM preferred). The judges will no longer waste time making screenshots for you. 7. E-mailed submissions will not be accepted. All submissions must be through the online script. 8. All submissions MUST BE PLAYABLE and cannot prevent judges from playing the game. Judges have the right to look at your incomplete work if you submit it, and judges do not allocate trophies based on your incomplete builds, only the last build submitted. 9. Hacks found with stolen content are not tolerated and anyone caught will be dealt with severely and their entry will be null and void. If anyone suspects an entry to have stolen content, contact a judge IMMEDIATELY. 10. These rules can change at any time. Check back often (or at least before you submit something) to make sure they haven't. CONTEST WEEK - Monday 7th to Sunday 13th November Like the last few years, the public will have a chance to view this year's entries, download the public hacks and vote for Community Trophies. If you’re planning to debut your submission to the public, you can do it then however nobody can be stopped from releasing earlier. If you want to show it off to the biggest audience around, the Contest Week is your best time for it. From Monday, access the Contest Site at http://shc.sonicresearch.org/ and get involved by playing the entries, watching the live streams and much more. Hacks can be downloaded by anyone, and all entries are public this year, but remember if you want to vote you must have an account at either Sonic Retro or Sonic Stuff Research Group (SSRG). Regular streamers SomecallmeJohnny and MegaGWolf are returning this year, alongside the debut of redhotsonic (who created the official trailer for the Contest Week) and we will have streams from myself (Spanner), Neo Hazard, Bartman3010, Geek Critique and a very special stream on Saturday that we will leave to speculation until that happens. The Sonic Show will also be producing content as well. The results of the Hacking Contest will be announced on Sunday at 8pm GMT / 3pm EST on MegaGWolf's channel. The full schedule of the streams will be released at the weekend. If you have any questions please let us know, also feel free to follow our newly-revived Twitter account and like our Facebook page. We also have a Discord Server set up for the Contest Week and you can join this as well.